Personalize this multicolor tumbler fast – 24HR! 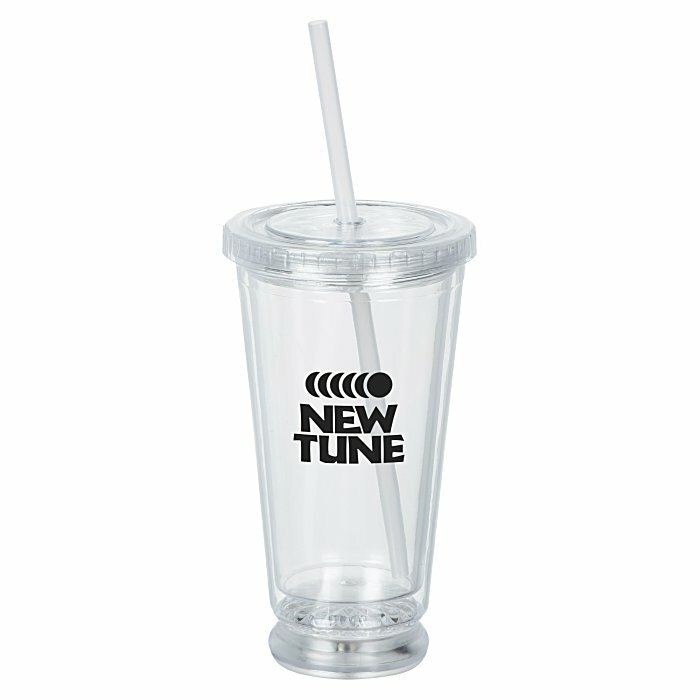 These custom tumblers are made of double wall, BPA-free acrylic (plastic #7). Features interior multicolor LED lights, giving the tumblers an extra pop of bright color. Press the button under the base for seven different color settings or a color changing mode. Includes a screw-on lid and an included straw. LED lights are multicolored while the tumbler, straw and lid are clear. Runs on three included replaceable AG13 batteries. Your price includes a one-color imprint on the side of the tumbler.